Color and comfort you'll want to live in. Cozy sweater knit fabric makes these pull-ons perfect for a weekend of errands or a week of vacation. Their straight-leg design works with all the tops in your closet and the full elastic waist always fits. 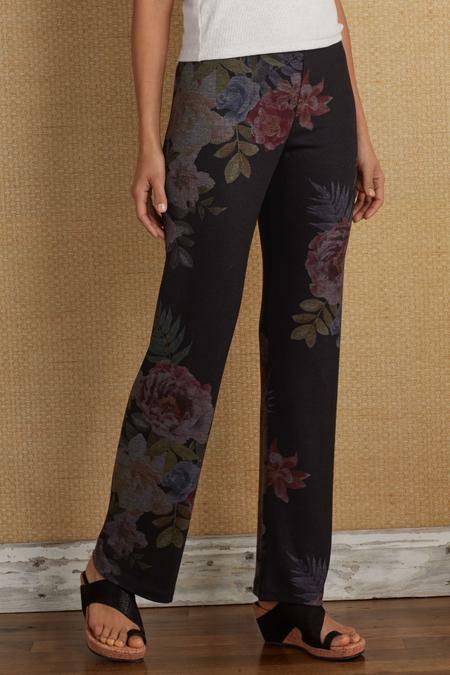 A unique printing process lends a faded vintage vibe to the allover florals. Softly heathered poly/rayon/spandex. Misses 29" inseam. Sits just below natural waist.